In present-day Caracas, Venezuela, two things are certain: crime and corruption. Ten-year-old Lola Plaz lives in the Tower of David, the world’s tallest vertical slum. Her mother, Martha, sweeps floors at a hair salon, earning just enough bolos to pay the local gangs for their single-room apartment made of bare cinder block. Lola’s few comforts are the books she retrieves from the local dump, the mathematical equations that dance through her head, and the adventures she pursues with her best friend, Sulo. 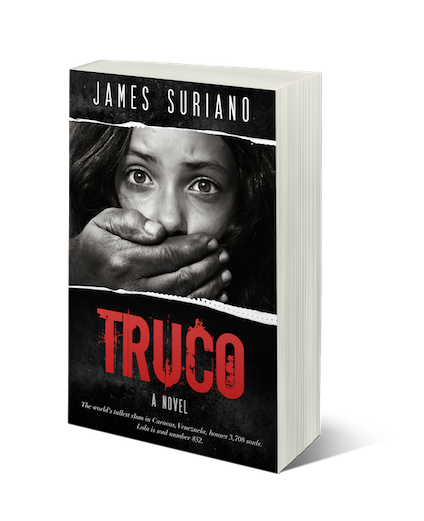 When a member of a powerful Venezuelan crime family notices Lola’s gift for counting cards and invites her to play in a Truco tournament, at first she thinks her life is getting interesting. But with gritty participants, counterfeit money floating around, and predators lurking, this isn’t a savory situation for a young girl. She quickly becomes drawn in by the easy money, which offers her hope—but at the price of her peace of mind. The more she plays, the more she wins, becoming an ever-more valuable asset that each of the local gangs wants to control. Every odd seems stacked against Lola, and in the maze of the criminal jungle, few people reach out to help her. She’s determined, however, to find them before she loses everything she holds dear.